This week we are crushing on our very own beautiful Butterphly Phunk. The hardworking bubbly radio personality kick started her career at the age of 19 and since then there has been no turning back. She has been in the media industry for almost a decade and she still brings it like it has never been brung. 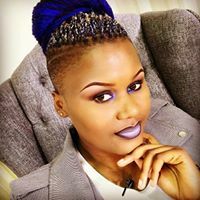 She is also the one who directed the Hit Kanjiva music video that has been making waves in town. As such, her drive and passion for media has seen her grow in the industry. She currently co-hosts The morning Big Breakfast Show with Elder squila every weekday from 6am to 9am. Butter will also be the hostess for our live musical show that will be the first ever live music radio show to be show cased on TV.